The following are books that I authored or edited that have come out or are in press. I have other books in the works on 1990s Japanese cinema, Japanese film theory and other topics, so stay tuned for those. Visions of Japanese Modernity: Articulations of Cinema, Nation, and Spectatorship, 1895-1925 (University of California Press, 2010). "Japan has done marvelous things with cinema, giving the world the likes of Kurosawa, Mizoguchi, and Ozu. But cinema did not arrive in Japan fully formed at the end of the nineteenth century, nor was it simply adopted into an ages-old culture. Aaron Gerow explores the processes by which film was defined, transformed, and adapted during its first three decades in Japan. He focuses in particular on how one trend in criticism, the Pure Film Movement, changed not only the way films were made, but also how they were conceived. 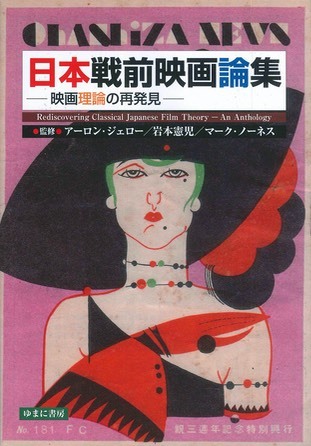 Looking closely at the work of critics, theorists, intellectuals, benshi artists, educators, police, and censors, Gerow finds that this trend established a way of thinking about cinema that would reign in Japan for much of the twentieth century." Nihon senzen eigaronshu: Eiga riron no saihakken is a groundbreaking publication, collecting many of the most exciting writings about the nature of cinema written before 1945 in Japan. If Euro-American film scholars have largely ignored film theory produced by the non-West—Noel Burch, for instance, once asserted that “the very notion of theory is alien to Japan”—and if Japanese scholars have mostly ignored their own tradition of film theory, this anthology proves that a rich and vibrant history of deep thinking about motion pictures existed from the 1910s on. The volume is 746 pages in length with over 65 selections from over 50 authors. 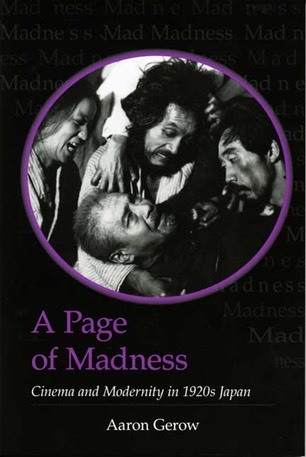 It covers writings on cinema before 1945, and is divided into 13 chapters, covering a variety of topics such as early cinema, sound, montage, machine art, Marxism, criticism, audiences, animation, Japanese film, psychology, time and the frame, and nation. Each chapter has its own commentary, and features four to six pieces, each piece accompanied by a specially written commentary. Markus Nornes, Iwamoto Kenji, and I split up much of these duties, but we also asked scholars such as Saito Ayako, Koga Futoshi, Watanabe Daisuke, Yamamoto Naoki, and Tsunoda Takuya to help as well. I wrote the introduction, which touches on problems of the “theory complex," and Iwamoto-sensei and Markus each wrote short afterwords. This is a special issue of the Review of Japanese Culture and Society that I guest edited. 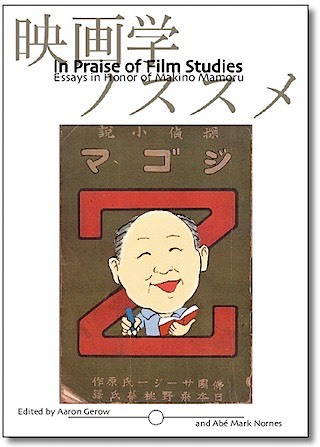 It is the first publication in a non-Japanese language dedicated to considering the rich and varied history of Japanese film theory. It presents both translations of some of the major works and scholarly analyses of those theorists and their historical contributions to film thought. 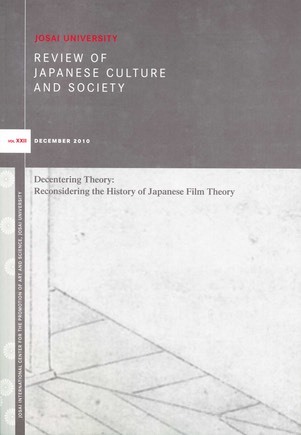 A major theme throughout the issue is the unique problem of how to approach and define film theory in Japan. Thinkers represented include Nakai Masakazu, Hasumi Shigehiko, Yoshida Kiju (Yoshishige), Imamura Taihei, Gonda Yasunosuke, Sato Tadao, Kitada Akihiro, and Nakamura Hideyuki, with works ranging in era from 1914 to 2011. They all focus on questions of the status of cinema and how to approach it, but other topics broached include animation, early cinema, mediation, spectatorship, documentary, meaning, and Ozu Yasujiro. 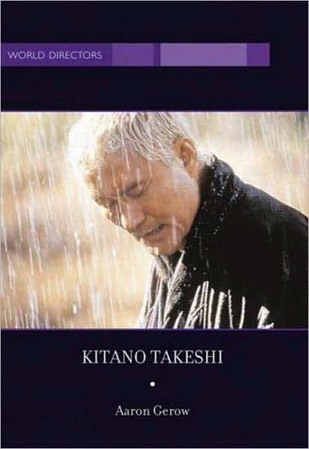 A translation of one of Akutagawa Ryunosuke's "film scripts" is also included. 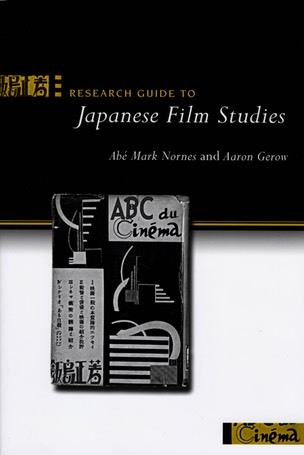 The Japanese version of the Research Guide to Japanese Film Studies that Markus Nornes and I produced back in 2009 has just been published by Yumani Shobo. 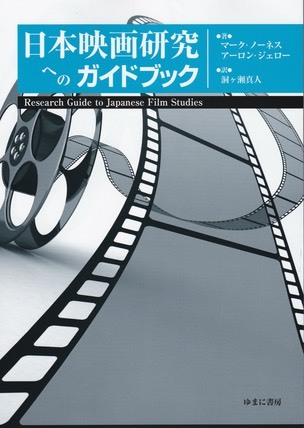 This is not just a translation of our guide to archives, reference books, and websites important to the study of Japanese film, but a major update of the Guide. Not only have a few errors been corrected or addresses or URLs updated, but we’ve added or revised quite a number of entries, taking into account new archives and books as well as changing circumstances since 2009. Those of you who have used the English version and can read Japanese should get this version in order to obtain the most up-to-date information. We were fortunate that Dogase Masato supervised the translation, working with Otake Mizuho, Murakami Satoru, and Sawa Shigehito. They did a splendid job. The staff at Yumani also worked hard, checking all the phone numbers and addresses, and even allowing additions up until the last moment. It was a pleasure working with everyone. "Kinugasa Teinosuke’s 1926 film, A Page of Madness (Kurutta ichipeiji), is celebrated as one of the masterpieces of silent cinema. It was an independently produced, experimental, avant-garde work from Japan whose brilliant use of cinematic technique was equal to if not superior to that of contemporary European cinema. 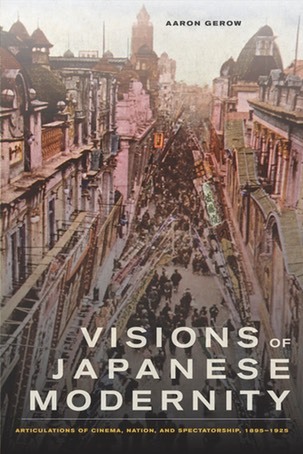 Those studying Japan, focusing on the central involvement of such writers as Yokomitsu Riichi and the Nobel Prize winner Kawabata Yasunari, have seen it as a pillar of the close relationship in the Taisho era between film and artistic modernism, as well as a marker of the uniqueness of prewar Japanese film culture. Donald Richie has written a very kind review in the Japan Times. Tom Mes, author of Agitator and Iron Man , has written a quite favorable review on Midnight Eye.